The Wa High Court has sentenced Hassan Fuseini, founder of the defunct Western Investment Microfinance Company, to 20 years imprisonment with hard labour for defrauding over 200 people to the tune of GH¢20 million. 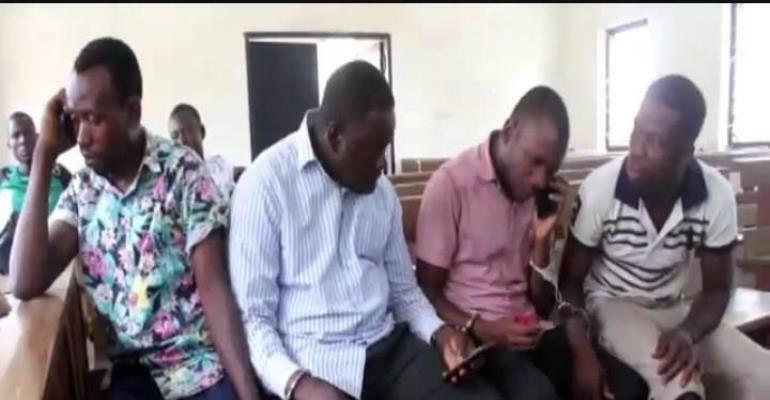 The court, presided over by Justice Kwasi Boakye, also fined Fuseini's accomplices – Abdul Rahaman Osman, Osman Zampol and Abdulai Bahiz – 400 penalty units (GH¢4,800 each) or in default go to prison for 5 years. Assistant State Attorney, Frank Aseidu, who was part of the prosecution team, told journalists that Fuseini was sentenced to 10 years for the first charge and 20 years for the second charge, both of which would run concurrently. Fuseini and his accomplices promised their clients 100 percent returns once they invested in the micro finance firm, Western Investment. The victims of the scam sold their cars, houses, motorbikes and other properties to invest in the company. However, after operating for a few months, the company began defaulting in the payment of returns to customers. Fuseini and his accomplices gave numerous excuses leading to the collapse of the firm. In 2014, the suspects were arrested by the Wa Police and put before court for defrauding. They were charged with conspiracy to defraud by false presence and defrauding by false pretence. They all, however, pleaded not guilty to the charges. Some of their victims who stormed the Wa High Court for the judgment were grateful to the court for the sentence offered to Hassan Fuseini and his team. They however indicated that they would seek for a civil case against Hassan Fuseini to retrieve their locked up monies.